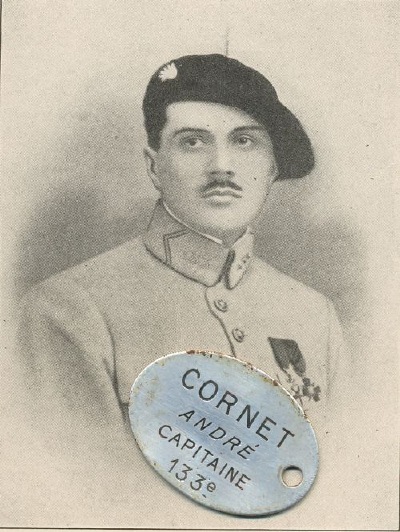 Hector Fréderic Arthur André Cornet-Auquier was a pastor’s son born on the 2nd of July 1887 in Nauroy. Excelling at school he continued his studies at various universities, at Lyon, Dijon, Liége (Belgium) and Ramsgate (U.K.) before doing his national service. He left the army with the status of reserve officer in the 133eme Regiment d’Infanterie. After his national service he left the continent to teach in Glasgow and was in Wales, at Colwyn Bay, when war broke out. The following texts are from “Un soldat sans peur et sans reproche”, a book published after his death and containing the texts of many of the letters he wrote home from the front. Translated by Theodore Stanton, M.A. the book was published in English in 1918 under the title “A Soldier Unafraid – Letters from the trenches on the Alsatian Front”. The son of a pastor and extremely pious André Cornet’s letters, chosen by his parents, express a religious fervor uncommon and probably alien in the western world in this day and age. I have kept the religious passages to a minimum but hope that there are enough to show that for Cornet, his religious beliefs resulted in a disdain for death which were coupled with an almost fanatical belief that it may be God’s will that he die in battle. While such belief may be a comforting thought for a man who on occasion seems to welcome the thought of dying for his country it may have made the men he was commanding slightly apprehensive if they had read thoughts like “For my part, I only say to him, “Thy will be done”; for he knows so much better than I do what is good for me. And the hope of returning to him is such a consolation”. Above: A whistle recuperated by Cornet's father after his death. The Whistle was a gift from his friend and mentor Commandant Charles Barberot and had been carried by him while campaigning in Madagascar and at the outbreak of the war. 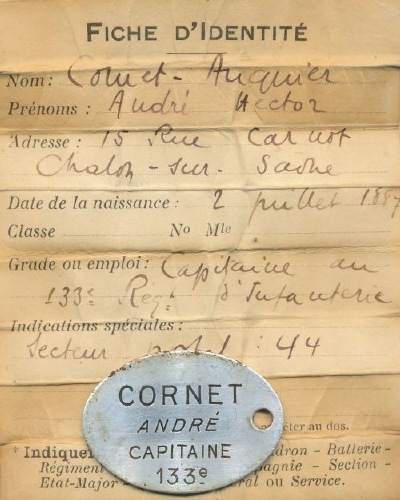 Barberot gave it to Cornet on the 5th of January 1915. 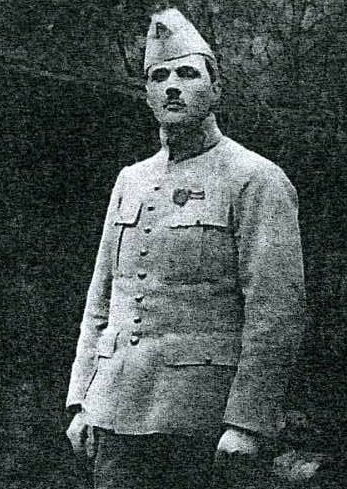 Barberot was killed in action on the Col du Linge while commanding the 15h Chasseurs in August 1915. Cornet carried the whistle until his death in 1916. The note was attached by his parents. “Dear ones: I have so many things to tell you that I do not know where to begin, and I have lived through such horrible days that I hesitate to go back to them and stir up the memory of them, for each time that I speak of them, sad sensations are awakened, the pictures of bloody spectacles reappear in clearer outline, the nightmare is reborn in all its abomination; it is as though I found myself suddenly transported back into the midst of those scenes of desolation and death. Yes, it is a brilliant victory, that cannot be denied; but how dearly paid. You must have guessed it, for in the note which I wrote to you in haste, I said that I commanded the battalion, which told the tale of what had become of the other officers. An unheard of thing, miraculous, a divine benediction, not one of my officers, those of the 1st company, received even a scratch! What is there about this company that makes such things possible? 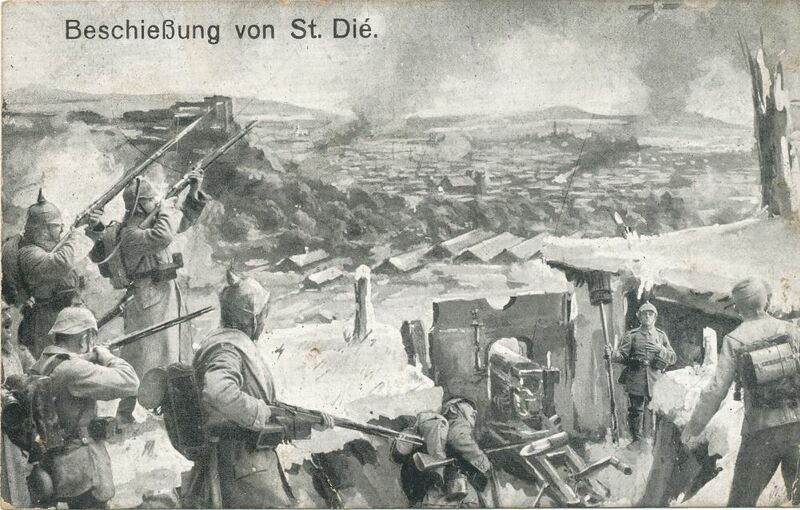 And yet to it fell the most dangerous part, for it was taken on the flank by the machine-gun fire of the enemy, our artillery being unable to reach that point. “The last day of the year. Tomorrow will be 1916. With what giddy Rapidity have passed the twelve months which are just ending. But it is not astonishing that the time seems short, when every moment is taken up, when events are so crowded into those little compartments which we call days and hours that it seems impossible they can be held in such a limited space. What a strenuous, well filled existence we are leading. We will have run the whole gamut of sweet and tragic emotions, the joyous and the sad. What a strain on men’s nerves, and how well tempered must be those who withstand it. Poor human nerves, poor fragile things. For it is especially by our nerves that we get through this artificial and abnormal course which we are now pursuing. And what wear and tear there is when one reflects a moment about it. What can we expect of the younger generation who have gone through all this? How worn out they’ll be and how early they’ll grow old. And yet, in the midst of this earthly hell, what divine benedictions there are. You stand abashed, so unworthy of these benefits do you feel yourself to be. To have had death pass by and graze you with is black wings, to have seen the Grand Mower strew around you over a bloody soil your chiefs and your own soldiers, almost your children, to have heard, the death Rattle , and the hoarse moaning of those about to die, to have had a man killed in your arms and been bespattered by his warm young blood, to have felt weighing on your shoulders at twenty eight the responsibility of holding, with a diminished and weakened battalion, a position snatched from the enemy at the price of what sacrifices, and then, freed for a few hours from this tempest, to have felt what glory is, to have received from the hands of the Grand Chief the blood red ribbon (Légion d'honneur), to have been embraced by him, to have been feted, made much of, to have seen the old men of these sad regions shake your hands, moved, and to have been smiled upon by the women who exclaim, “Thank you,”.. and all this happening during a few hours, in two or three days. Do you not think that here is enough to break down even the most robust constitution? He was buried 2 days later at Saint-Dié-des-Vosges, a large military funeral attended by the Divisional commander. Colonel Baudrand paid him tribute by calling him “A soldier without fear and above reproach” (Un Soldat sans peur et sans reproach).